The northernmost of Japan's main islands, Hokkaido is the least populated of them and boasts a number of unique aspects that differentiate it from other parts of Japan. Hokkaido is home to a large number of mountains and has a colder climate meaning inhabitable land is scare and wintersports plentiful. The population density is very low for Japan, and agriculture plays a large role in the economy with a variety of crops and livestock farmed there. With a great feeling of space that can be lacking elsewhere in Japan, Hokkaido is a proudly unique region of Japan. Hakodate is one of the largest cities in Hokkaido, located in the far south of the island close to Japan’s main island Honshu. Towering over the city at 324m high, Mount Hakodate provides fantastic views of the city and the bay. One notable famous area within the city is Motomachi, a neighborhood of steep streets with Western-style early-20th-century buildings, located at the base of the mountain. Sapporo is the capital city of the northern island of Hokkaido, and is famous for its breweries, winter sports, and the annual Sapporo Snow Festival. Sapporo is the 5th largest populated city in Japan and is known for its cool summers and snow covered winters. As Hokkaido’s second largest development, Asahikawa is considered a core city in the prefecture. Home to roughly 350,000 people, the city grew rapidly thanks to its lumber and brewing industries. Aside from its industrial heritage, Asahikawa is also known for the popular Asahiyama Zoo alongside the tasty local dish of Asahikawa ramen. Finally, it’s location near the centre of Hokkaido also makes it a good base for visiting the nearby Daisetsuzan mountain range and the picturesque Biei-Furano area. Rail is the most popular method of public transportation in urban areas of Japan. 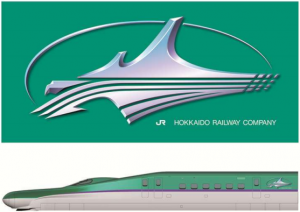 Trains operated by JR Hokkaido cover all of the major areas of the island while shinkansen access from Tokyo now reaches the city of Hakodate in southern Hokkaido (with aims of a complete shinkansen line to Sapporo to be running by 2031). In Sapporo itself, subway services are run the Sapporo City Transportation Bureau. The city maintains three lines, comprising of 49 stations that cover the majority of the city. In addition, there are private bus companies such as JR Hokkaido bus company and Hokkaido Chuo Bus Company with convenient routes in and around the region. As with the other regions of Japan, smart passes are typically accepted on public transportation in urban areas. 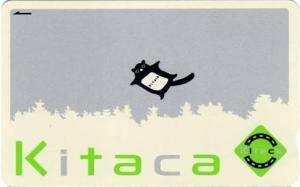 For JR Hokkaido, passengers are able to use a Kitaca pass. These passes can also be used on the subway lines in Sapporo as well as on many other forms of transportation such as buses. Finally, you don’t need to purchase another smart card when visiting other regions of Japan, such as Tokyo and Osaka, as it is possible to use the Kitaca pass in all regions covered by JR. 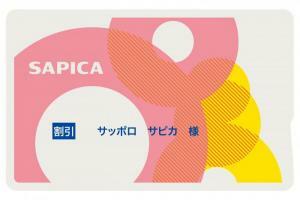 In Sapporo specifically, passengers are also able to use the SAPICA smart card. Although this card has been designed for the Sapporo Municipal Subway, it can also be used on many forms of public transport including JR lines within the region. More rural locations may still rely on single-use ticket stubs, so it is wise to have ample loose change on hand.